House lawmakers on Monday voted to streamline how courts work with the state's child welfare agency to protect abused and neglected kids — and laid out concrete reasons children can be removed from their homes. Legislators gave initial approval to House Bill 7, which directs the state's Department of Family and Protective Services only to remove children from their homes over allegations of violence or abuse, not for reasons like a parent having a low income or being charged with a nonviolent misdemeanor. The bill would also give parents more access to the child welfare agency's evidence about allegations against them; end a lawsuit against a parent if more than a year passes without any movement in the courts; prevent courts from terminating parent-child relationships without evidence; and stop courts from ordering medical or mental health treatment for a child before consulting a health care professional. The bill, one of several child welfare measures moving in the final weeks of the legislative session, needs one more vote in the House before it can head to the Senate for consideration. Legislators have been under the gun from child welfare advocates and state leaders to use this session to make long-sought changes to how the state protects endangered children. Overworked and underpaid caseworkers, abused and neglected children sleeping in state offices, and escapes of kids in state custody have all heightened this sense of urgency. They are up against the clock; the Texas legislative session ends May 29. Gov. Greg Abbott named the state's child welfare crisis as one of four emergency items during his State of the State address in January. In March, the House passed House Bill 4, which would authorize monthly payments for relatives who care for abused children in their extended families, and House Bill 5, which would make the Department of Family and Protective Services a standalone agency outside the purview of the state's Health and Human Services Commission. The Senate has not taken up either of those bills yet, and there are still more House bills to come. 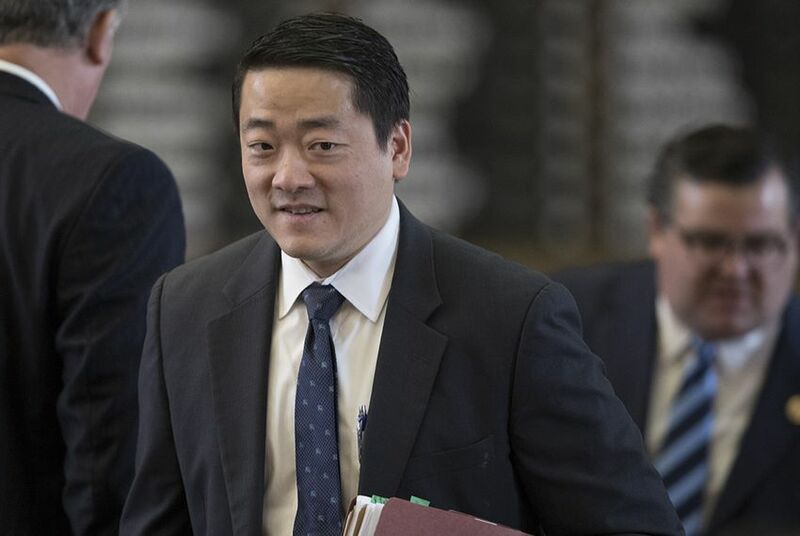 The bill's author, Rep. Gene Wu, D-Houston, said the legislation was the result of more than a year working with various groups and fellow legislators. "I am proud of the bipartisan support we received," Wu said in a news release. "If we successfully pass these bills, Texas can be proud of the comprehensive approach we took to reform a broken system in the best interest of children and families." While the bill had general bipartisan support, some amendments tacked onto it were much more contentious. Reps. Jeff Leach, R-Plano, and Jason Villalba, R-Dallas, engaged in a testy exchange over Leach's amendment to prohibit state child welfare workers from removing a child from home because their parents chose not to get them vaccinated. Wu told his colleagues that the state's Department of Family and Protective Services had never done such a thing. Villalba argued the amendment might expose foster children to vaccine-preventable diseases like mumps, which is experiencing a 23-year high in Texas. "So you protect the rights of parents over the rights of the children who have been exposed to a disease that is potentially fatal?" Villalba asked. Leach said the amendment was only meant to protect parents from having their children taken away for simply being unvaccinated. "There's a lot of people on both sides of the issue that are smart and well meaning and love their children and believe that government ought to stay out of this decision," Leach said.